Have it checked regularly a musical instrument is a nice way to have it always efficient, and to avoid that small defects are transformed over time into serious damages. 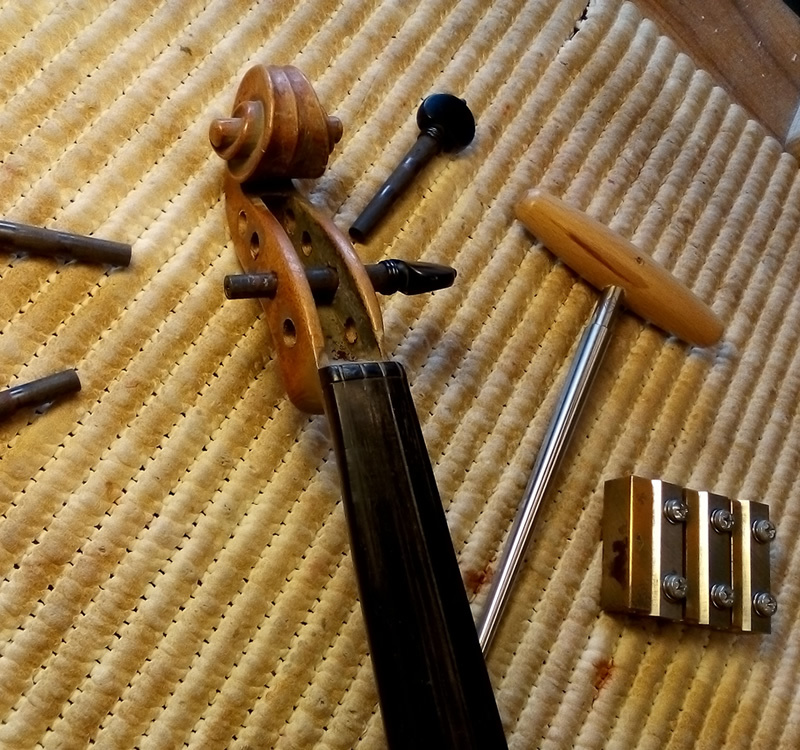 Maintenance means care and respect for the object with which the musician expresses and moves, with whom he studies ,works or relaxes with which it often establishes a sort of human relationship. cleaning, polishing and general inspection to identify possible interventions to be done in the near future. Often analyzing bow instruments or guitars, I can imagine what is the way to play of the Owner musician, what are the sounds he prefers , the kind of touch or plucked, and it is already possible to get an idea of ​​the direction that the work will have to take. It has always been my main concern to optimize some details together with the musician to deliver an instrument akin to individual needs.